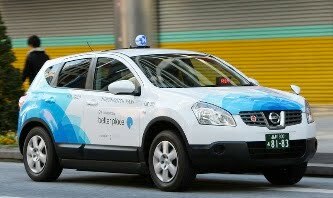 DCSCA has asked the City of Greater Geelong to include Clifton Springs in a proposed trial of an electric car service in Geelong. Council officers and Better Place Electric Vehicles are in negotiations about a trial of the latter’s electric car service in the City of Greater Geelong. DCSCA is very pleased to see CoGG Councillors and officers taking the lead on this initiative, which we support very strongly. DCSCA believes that if a trial of electric cars does take place in Geelong, it should include not just the city centre (the obvious choice), but also at least one outlying area; and we believe that the Clifton Springs area is an ideal location for one of the battery switching stations that would be included in the trial. 1. An electric car service would alleviate the local environmental problems associated with heavy commuter traffic. Public transport between the Clifton Springs area and central Geelong is very poor. Consequently, increasing numbers of people are having to drive to work in Geelong or to Melbourne, or they’re having to drive to Geelong to catch a train to Melbourne. The same applies to commuters from elsewhere on the north Bellarine, all of whom have to drive through our area and then on to Geelong or Melbourne. The results are that local roads are approaching capacity in peak hours and that levels of harmful greenhouse gases from the vehicles are increasing steadily. The area is a designated growth zone, so the present problems will only increase, because the population will increase. 2. An electric car service would complement CoGG’s other ‘environmentally friendly’ policies in the area. These policies include CoGG’s current trial of solar-powered street lights in Clifton Springs; its policy of making the area more ‘walkable’, based on a consultant’s study last year; and its requirements for water- and energy-efficient designs in new housing in the area. Also, DCSCA has discussed with CoGG ward Councillors our proposal for a network of simple, public open spaces to complement the area’s more formal recreational infrastructure. An electric car service would be the ideal complement to local open spaces! 3. An electric car service would be a foundation of a local post-carbon economy. DCSCA believes that there is great potential for the Bellarine to become a ‘demonstration project’ or a ‘case study’ in developing a local post-carbon economy; and that as the current hub of the north Bellarine, the Clifton Springs area is the logical starting point of such a development. An electric car service in our area would be an important element of a local post-carbon economy and would demonstrate that CoGG is on top of the problem of peak oil. CoGG is rightly proud of its environmentally-friendly and -sustainable vision and design for Armstrong Creek; including the Clifton Springs area in a trial of an electric car service would show that Armstrong Creek is not a one-off but expresses a developing policy framework and approach. 4. An electric car service would complement the proposed second ferry service between the Bellarine and Melbourne. If a second ferry service is established (a big ‘if), it will generate new commuter traffic on the coast, including some of the vehicles that currently commute to Geelong. Electric cars would be ideal for the relatively short drive between people’s homes and the ferry port. The proposal to trial an electric car service in the City of Greater Geelong is at an early stage, but that is an opportunity to contribute to any final plan. DCSCA has asked to discuss our proposal with Cllr. John Doull (holder of CoGG's Environment portfolio) and other Councillors who have expressed an interest in the trial.